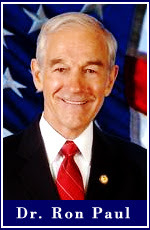 I know that I haven't written my story about my journey to becoming a Ron Paul supporter yet. It's still a desire of mine to do so when I get a little bit of time. We've had some circumstances in our family that have prevented me from spending any amount of time on that project, but maybe over the holidays I can do so. Until then, I wanted to post 2 videos to youtube. These will take about 15 minutes of your time, if you have it.